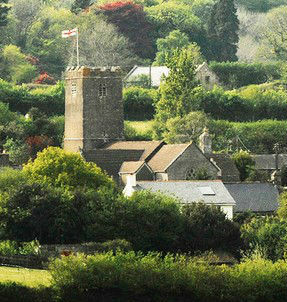 St. Mary the Virgin is an ancient and beautiful church set at the heart of the unspoilt Dartmoor village of Holne, County Devon. The church is part of the Anglican Communion and services are held every week. It is kept open during the day throughout the year and is a place of peace, tranquillity, beauty and prayer. The church dates from the thirteenth century with the records showing an incumbent priest in Holne in 1240. Its dedication to St Mary the Virgin may indicate earlier links to the abbey at Buckfast, whose sheep were grazed in the district of Holne.